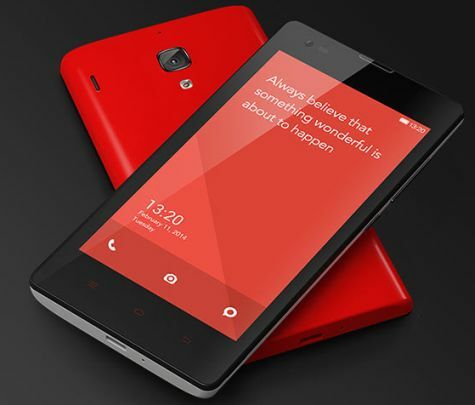 Xiaomi has launched its new budget friendly entry level smartphone Redmi 1S in Indian market. It was announced at MI 3 launch event with the price of Rs. 6999. Today the company revealed all the details and it would go on sale from September 2 and the price is reduced to Rs. 5999 only. Xiaomi will follow the flash sale method like MI 3 smartphone on Flipkart, so you have to pre-register to buy the phone starting today. Xiaomi Redmi 1S comes with a 4.7-inch HD IPS display with the resolution of 1280x720 pixels and protected byDragontrail glass. The phone runs on Android 4.3 Jelly Bean based custom MIUI ROM and powered by 1.6 GHz Snapdragon 400 Quad-core processor with 1 GB RAM. It featured with 8 MP rear camera with 1.6 MP front facing camera for video calls. There is 8 GB internal storage and external memory can be extended using microSD card. I think Chinese companies like this and Gionee will sweep the Indian companies out of the market.